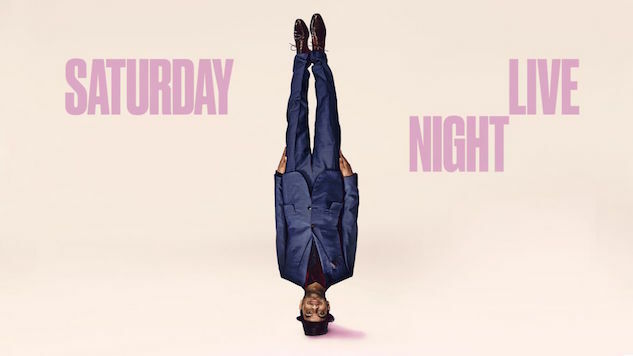 Saturday Night Live Review: "Aziz Ansari/Big Sean"
Aziz Ansari’s long-overdue first trip to Saturday Night Live is a mixed bag—a better showing for Ansari than SNL. The breakout Parks and Recreation star, more recently writer-creator and star of Netflix’s Master of None, is one of those actors who might have broken out on SNL had he not joined the cast of a hit network television show. Ansari’s comedic roots lie in stand-up. His voice is that of the son of Indian immigrants raised in the suburbs of South Carolina—a perfect fish-out-of-water scenario that has given Ansari a slyly ironic perspective on matters of race in America. Ansari’s limited acting skills belie an unlimited capacity for pitch-perfect sketch comedy invention. “Beat The Bookworm,” “La La Land Interrogation,” “Bedroom,” and “Pizza Town” are serviceable sketches that Ansari makes better. The comedian’s range rarely strays from loud Tom Haverford (his Parks and Rec character) to whiny Tom Haverford to sweet Tom Haverford. And yet at SNL this limitation is a godsend. Were he not so successful as a stand-up and sitcom star, he could be a top-of-cast repertory company member at SNL. “Weekend Update” was strong; not a limp joke in the bunch. “Leslie Jones on Hidden Figures” was good too, and Mikey Day’s friend-zone commentator Jake Rocheck was very good. (Day is emerging as one of SNL42’s brightest stars.) The segment has settled into a workable flow—with co-anchors Colin Jost and Michael Che each playing echo to the other’s boom. The camera cuts from one to the other tell the story: two different (male) perspectives on the news of the day. Jost’s representing the voice of SNL’s mostly erudite (re: Ivy League) past, Che presenting a wry retort. What has emerged, however, is something larger than a workable joke form. Jost and Che are showing us how to talk past our cultural differences and have an actual conversation. Big Sean performs two new songs from the soon-to-be released I Decided, “Bounce Back” and “Sunday Morning Jetpack.” Both performances were good, but suffered from a common problem rappers have at Saturday Night Live—what to do in the space during a mostly solo performance. Still, Big Sean’s autobiographical lyrics are unabashedly hopeful… an artist of his time and for his time. No doubt, he will be back to Studio 8H for years to come. It would be generous to say that “To Sir With Love,” an under-rehearsed and overwhelmingly sycophantic Barack Obama farewell sung, by Sasheer Zamata and Cecily Strong (capped off with an utterly childish offer of a coffee mug emblazoned with the words “World’s Greatest President”), was an unfortunate choice. Some will argue that this performance is similar to Kate McKinnon’s post-election “Hallelujah.” It is not—neither in sentiment nor comic invention. The show is going to get a lot of criticism for this treacly 10-to-1, and deservedly so. I won’t pile on. Consider: The satirist who is willing to sacrifice the danger of his bark and snap of his bite to satiate his craving for an easy sentimental fix is, at the end of the day, toothless. SNL returns February 4 with guest host Kristen Stewart and musical guest Alessia Cara.